Where else in Norwalk can you find a private road with a cul-de-sac and a private driveway set in a back lot? Nowhere. And especially not with Rowayton public schools. But here at 48 Burchard, you find those things and more. 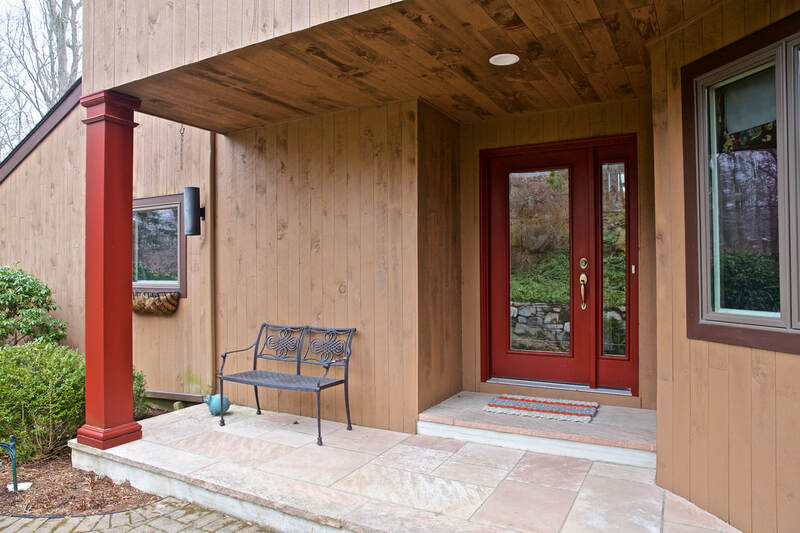 This home is unexpectedly amazing, and as you drive up, you don't know what you are in for. After parking in the ample space in the driveway, or the 2 car garage, you can come back around and enter the front door, decked out in high-quality stone work. When entering, there is an elegant foyer with pillars to create character in this lovely space. The eat-in-kitchen is immediately to your right, and half bath and garage to your left. The bathrooms are all updated, and so is the kitchen. 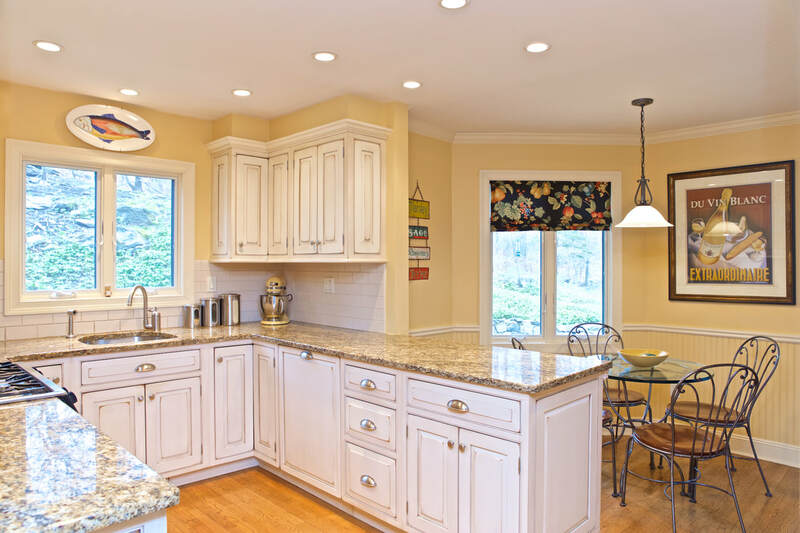 The kitchen has a French Country Style, with a breakfast bar, and space for a table and chairs. The appliances are stainless steel and there is recessed lighting throughout. There are little details in this kitchen you wouldn't notice unless the owners were able to explain them, such as cabinet ends with matching designs, no unreachable corner cabinets, etc. There is a beverage cooler here as well, and dual gas/electric range. Off the kitchen, there is a comfortable den or sitting room, with access to the large deck. This deck wraps around the back of the home, and is steeped in nature, with 360 degree privacy, especially in the warmer months. The sounds of the birds, the animals, and of the wildlife all around the home can be heard. The living room and dining room, both with hardwood floors, are great for entertaining. 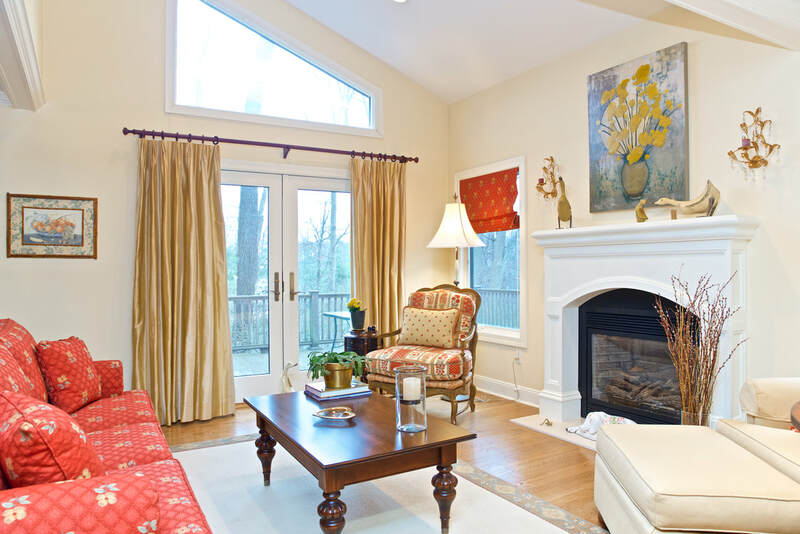 Again, there is plenty of natural light, a fireplace, and high ceilings near the back wall. This all is centered around one wall, so bringing friends and enjoying their company at this home is ideal. On the second level, there are two bedrooms and a master suite. Both bathrooms upstairs have many nice updates. Through the garage on the main level, you can get into a large, finished basement. This would be a perfect workshop, family room, play room, or whatever your imagination can come up with. This space has access to the exterior as well. Set privately on a back lot of a cul-de-sac, 48 Burchard has all you need in today's market, in Rowayton. With 3 beds, lots of entertaining space, an amazing outside space, and more, this home has it all. See it before someone luckier than you gets it!